Here is the famous Taco Pizza you guys! As many of you know, we love pizza and we love tacos around here almost more than anything else. So why not combine the two into a delicious new creation? Well.....that's exactly what I did. 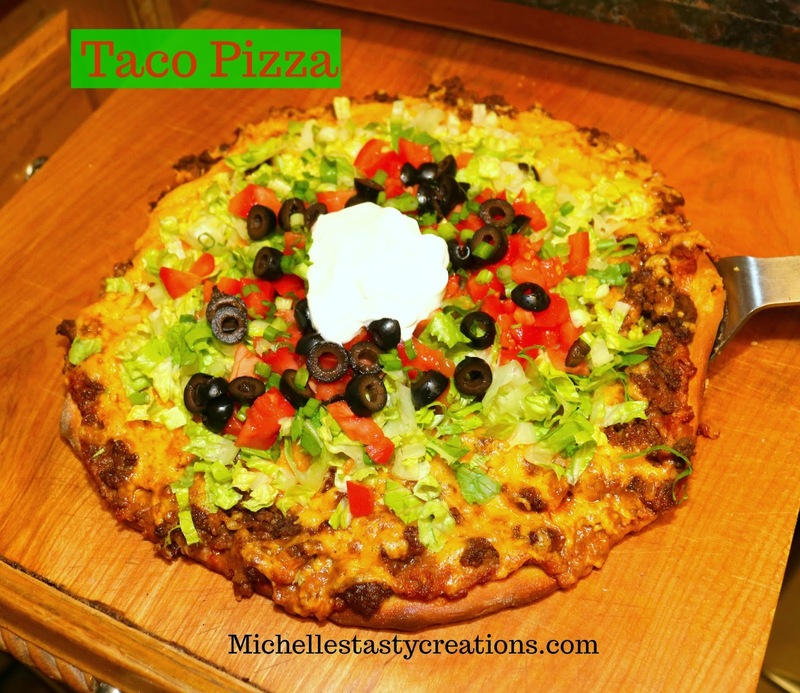 I took the best of both dishes and made my now famous taco pizza a couple of months ago and have made it a few more times since.